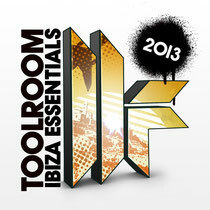 Toolroom Records releases 'Toolroom Ibiza Essentials 2013', another top summer compilation release from the London-based label, filled with the latest Toolroom releases, remixes and classic Toolroom hits. The album kicks off with Digitalism's remix of Bloc Party's 'Truth', before moving on to the intricate workings of electro track 'Flip' by Cedric Gervais. Also making the list are 'Still The Same Man’ by Nicky Romero feat John Christian & Nilson and tech-house classics from some of the industry's key DJs such as UMEK's 'Love To Dance', Federico Scavo's 'iRobot' and progressive house tracks including Funkagenda's 'Blacklight' and the legendary 'Ten' from label boss Mark Knight & Sander Van Doorn V Underworld. The compilation also includes tracks from Doorly, Prok & Fitch, Marco Lys, Honey Dijon & Jerome Robins and many more.